Join us at Nine Worlds! If you're heading to Nine Worlds over the weekend make sure to keep your eyes out for Unsung! We'll be out and about across all three days of the con, so there'll be lots of chances to catch us. On the Friday, Publisher George Sandison will be on The Only Way is Indie! panel, talking about indie publishing, and all its myriad wonders. For those of you looking to find out a bit more about how we do things, or generally curious about the publishing world, this is a great chance to ask us questions! Verity Holloway, author of Pseudotooth, and Malcolm Devlin, will also be on panels on the Sunday. Malcolm will be talking about folk horror at 11:45am and writing short fiction at 1:30pm. Verity will also be on the folk horror panel along with disability in SFF at 1:30pm and intoxicants in fiction at 3:15pm. You can check the full schedule on the Nine Worlds website. We'll also be running a pop-up stall on the Saturday between 3pm and 6pm so if you want books that's the best time. 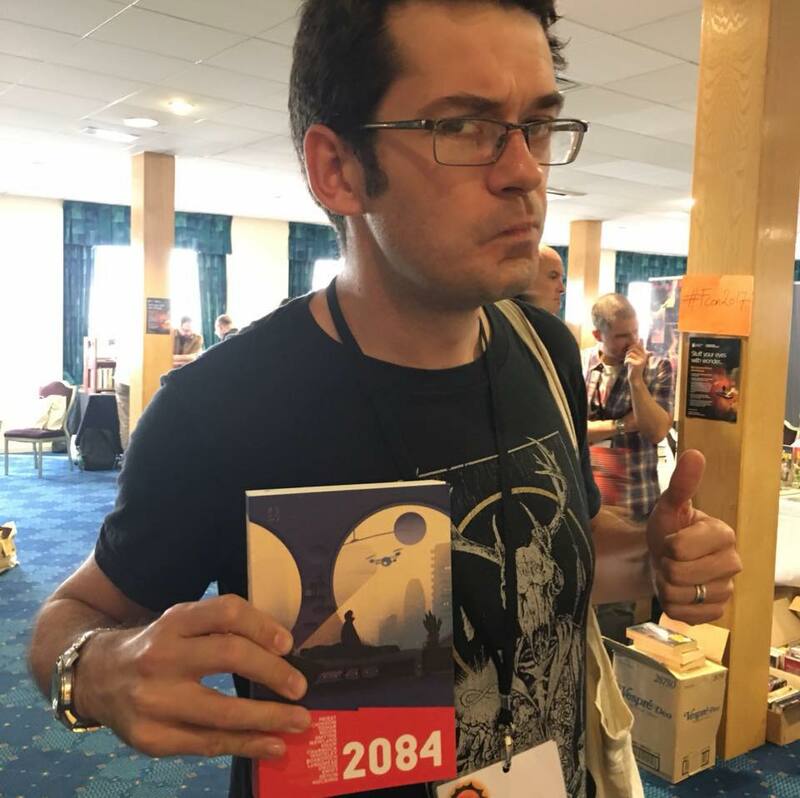 We'll have all sorts of treats with us, including some of the numbered editions of the BFS Award nominated anthology 2084. We know a couple of contributors will be at the con as well, in case you want them signed. It's nearly time for FantasyCon in Peterborough, where we will be launching 2084, as well as celebrating the rest of our 2017 titles, Metronome, Pseudotooth and You Will Grow Into Them, in the Reading Room from 1:30pm on the Sunday. See you at Nine Worlds!